If you are planning to buy inverter with battery online and you dont know where to start from, then here is your one stop shop for all various brands and sizes of solar batteries and inverters for homes and offices. On Solaroid Energy we offer the cheapest cost of inverter in nigeria and quality packages of Inverter prices with Battery that are suitable for all your energy needs. We have pre - designed different combinations of inverter packages like luminous inverter price with battery and trolley, microtek inverter prices with battery, exide inverter price with battery, Sukam inverter prices with battery and different packages of inverter price with battery. Our various combination of inverter batteries price list gives you the best best inverter battery in nigeria that will help you eliminate power failure completely in your house of offices. So don't waste your time any longer get the best inverter brand in nigeria, best inverter battery in nigeria and also the most afforbale inverter battery price in lagos from Solaroid Enegy. We have provided you with various packages of inverter prices with battery and the following packaged systems will provide the major components for your off-grid power back up system! 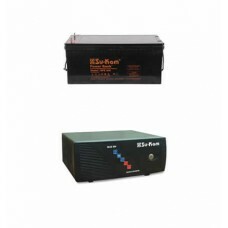 These systems are designed to be used with a battery bank that is connected to the utility grid. Use our handy Off-Grid Solar Electric System Calculator to find out what size of system you need. If you don't see a package that fits your needs, please call us on 08028048810 to configure the system that's right for you. Each of these inverter packages is designed to provide you with the main components you will need to enjoy continuous power supply as long as you get up to 10 hours of electricity from the grid or from a generator! 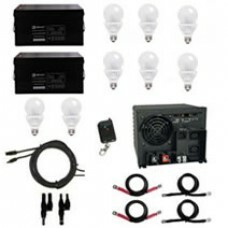 From the efficient inverters and durable batteries, these packages include high quality, safe components for your power backup installation. Click on any of the packages below to get more information on pricing and product feature. 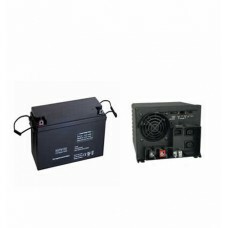 The 1KVA Inverter 200AH batteries all in one inverter package include the basics that y.. 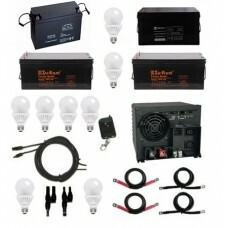 The 1KVA Inverter 100AH batteries all in one inverter package include the basics that you.. 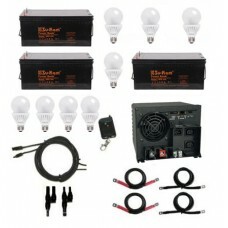 The four batteries all in one inverter package includes include the basics that you'll ne.. The Three batteries all in one inverter package includes include the basics that you'll n..
Each of these solar packages is designed to provide you with the main components you will need to ta..